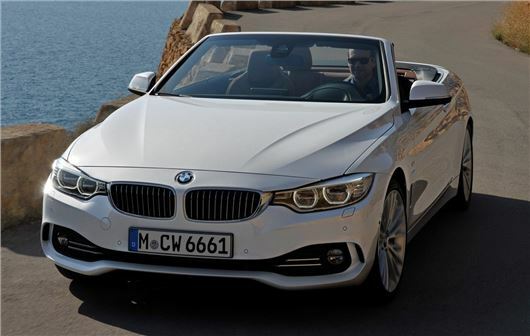 BMW has previewed its new 4 Series Convertible ahead of its official launch at the LA Motor Show in November. The convertible features a folding metal hardtop roof and will go on sale in the UK on 8 March. Prices will start at £36,675. 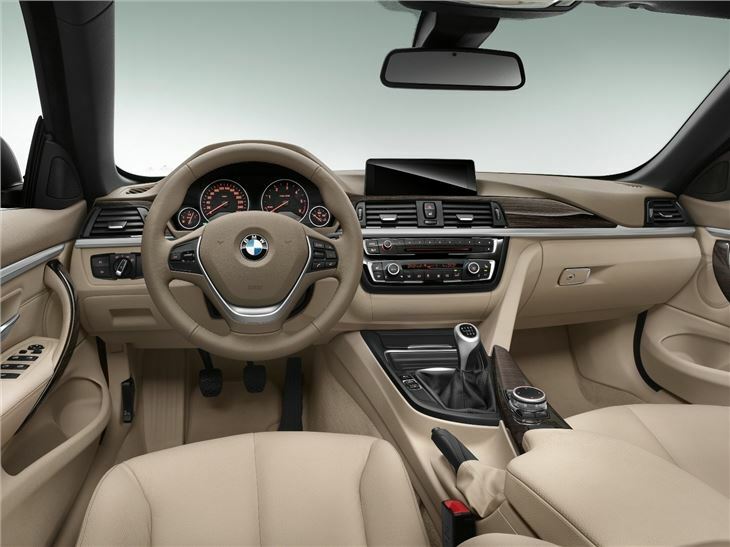 Larger than the outgoing 3 Series Convertible, the sleek new '4' gets more space and a completely redesigned folding roof. The chassis is based on that of the new BMW 4 Series Coupe, but gets revised springs, damping and axle characteristics to make the car more agile. Boot space has been increased to 370 litres - 20 more than the outgoing 3 Series Convertible - while the new roof system will take 20 seconds to operate. There’ll be three engines available from launch – two petrols and one diesel – and all will come from the current 4 Series Couple range. The entry level 420d will cost £36,675 and get a four-cylinder 2.0-litre diesel engine with 186PS. Average fuel consumption will be 55.4mpg, while BMW claims CO2 emissions will be 133g/km. The 420d will cover 0-62mph in 8.2 seconds, before reaching a top speed of 146mph. The 428i starts at £39,515 and gets a 2.0-litre four-cylinder twin-turbo petrol engine, with 248PS and 350Nm of torque. The 428i will reach 0-62mph in 6.4 seconds, while returning 41.5mpg and 159g/km of CO2. The range topping 435i will set you back £44,970, but gets the powerful 2.0-litre straight-six, with 310PS. Performance is upped significantly, with 400Nm of torque that will propel the 435i from zero to 62mph in 5.6 seconds. However, that power comes at a price, with the 435i returning 35mpg and 190g/km of CO2. Both petrol engines are electronically limited to 155mph and get start/stop technology; a six-speed manual gearbox is also fitted across the range, although an eight-speed automatic will be available as a paid for option; offering improved fuel consumption and lower CO2 emissions. There will be five trim levels on offer - SE, Sport, Modern, Luxury and M Sport - but standard equipment will be high, with 18-inch alloy wheels, heated sports seats, rear parking sensors and cruise control all included in the basic price.